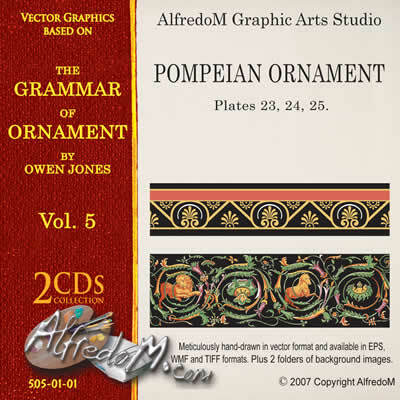 This large collection of Pompeian Ornament includes 447 hand-drawn EPS graphic files. 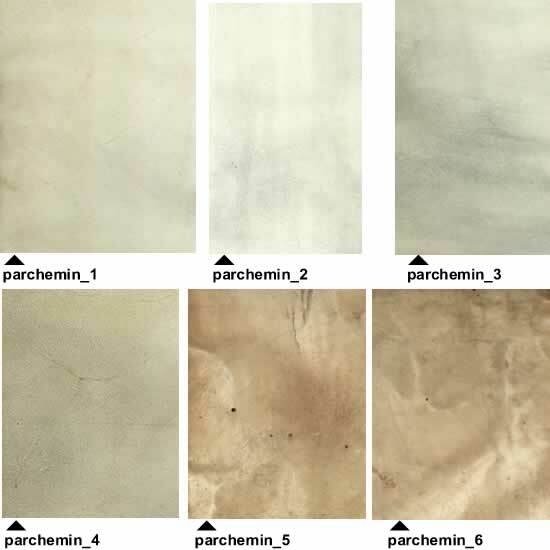 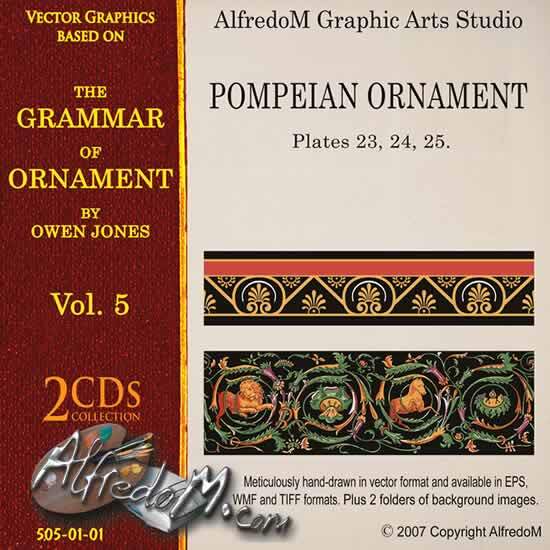 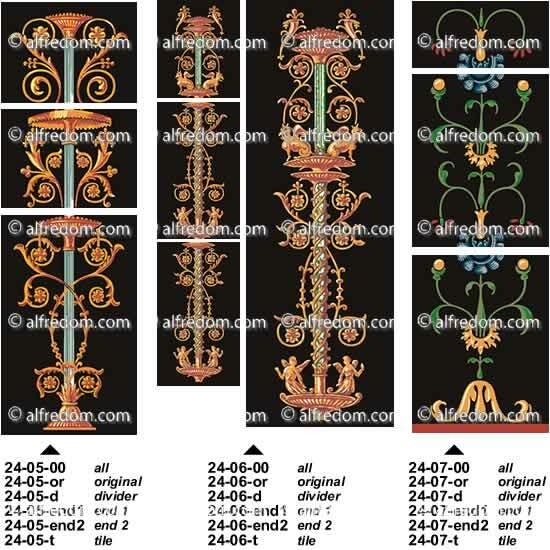 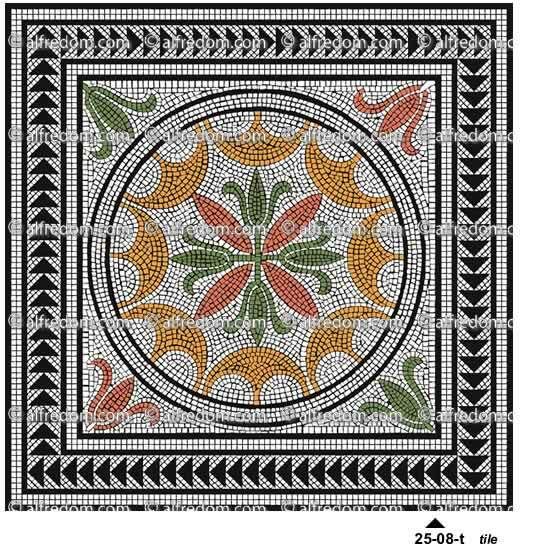 For the images of the first two plates (23, 24) of Pompeian Ornament from the Chapter 5 of the Grammar of Ornament, Owen Jones mainly borrowed the material from Zahn*; the mosaic floors samples from the third plate (25) are from sketches made by the author in Pompeii and at the National Museum in Naples. 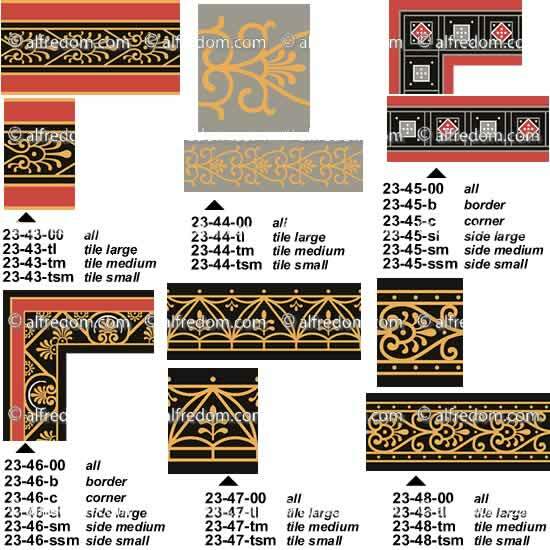 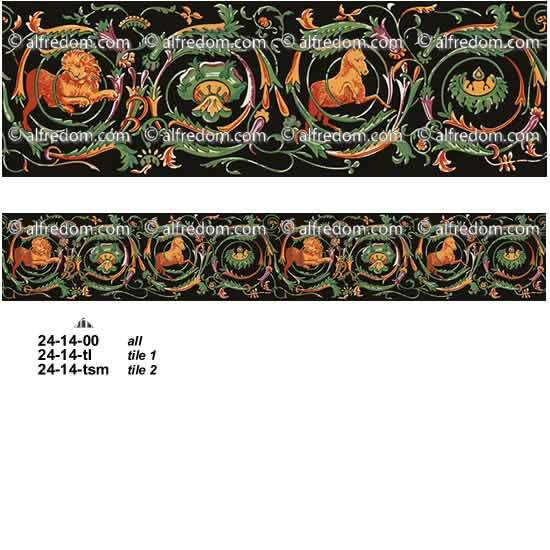 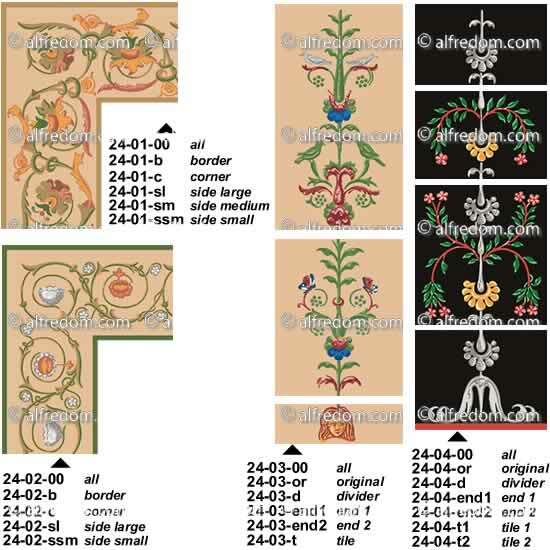 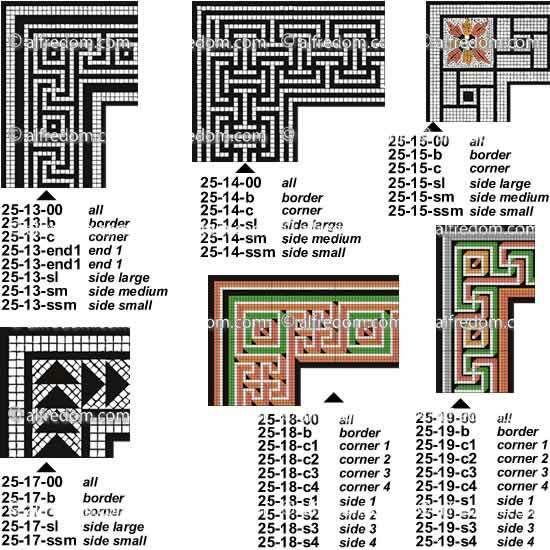 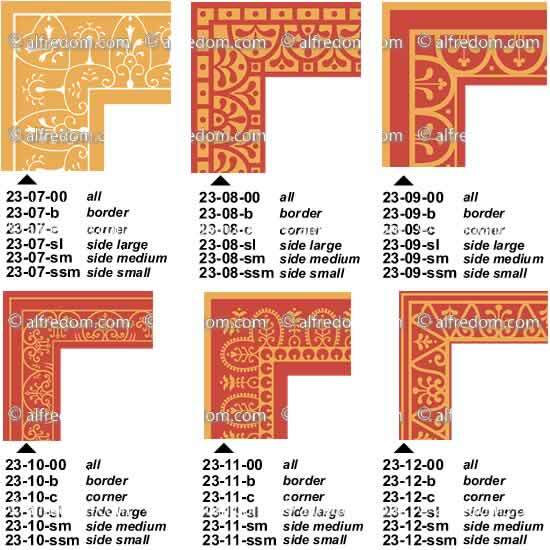 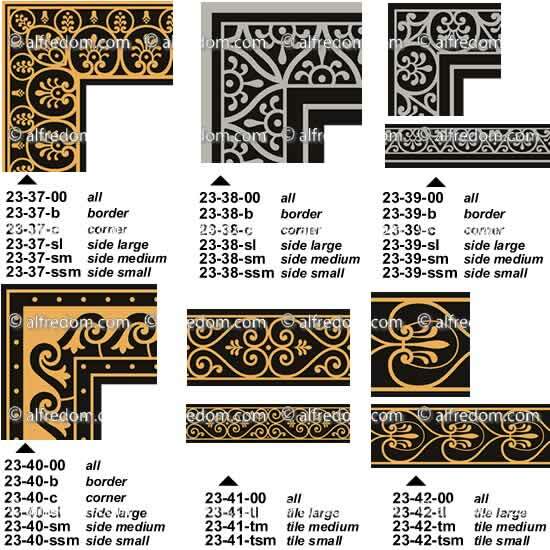 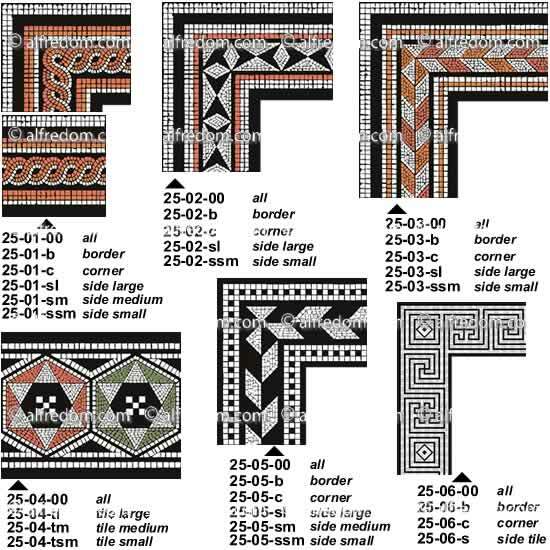 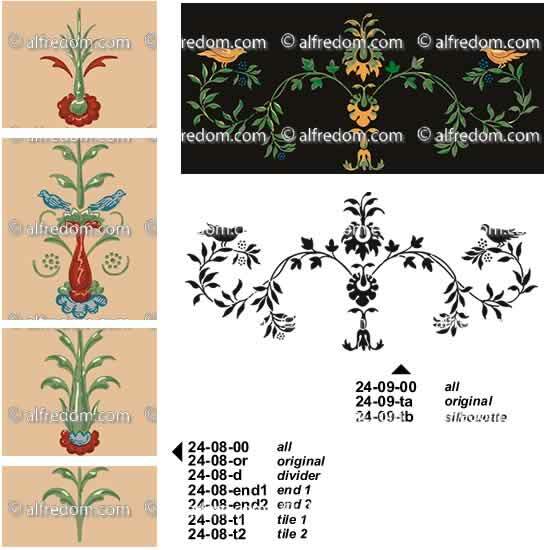 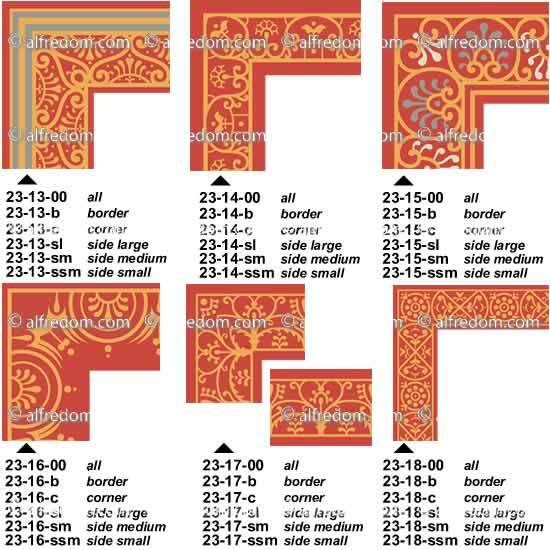 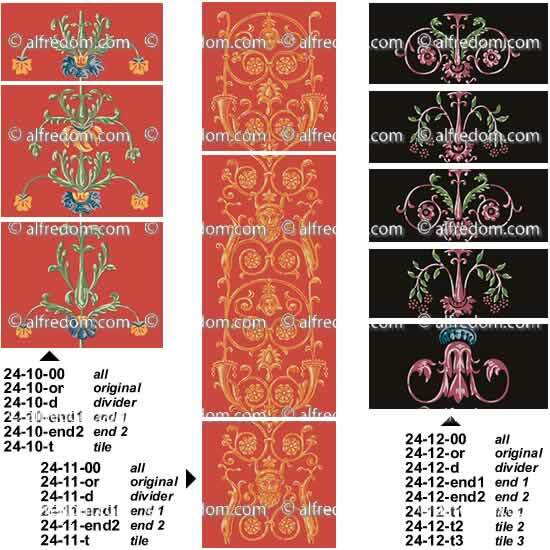 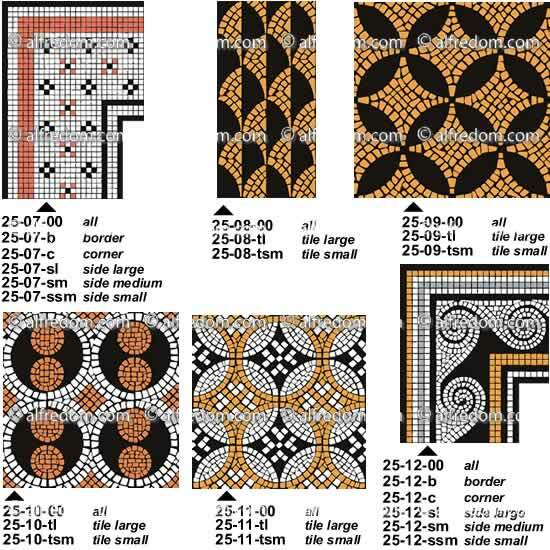 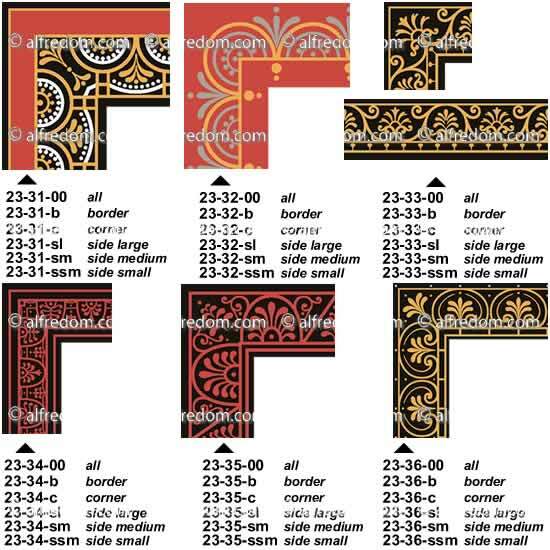 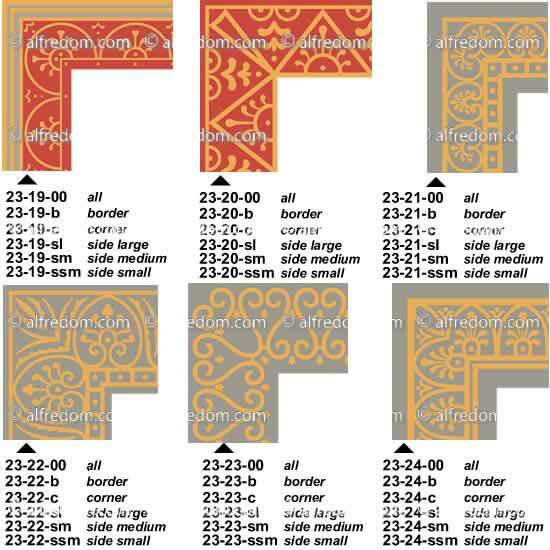 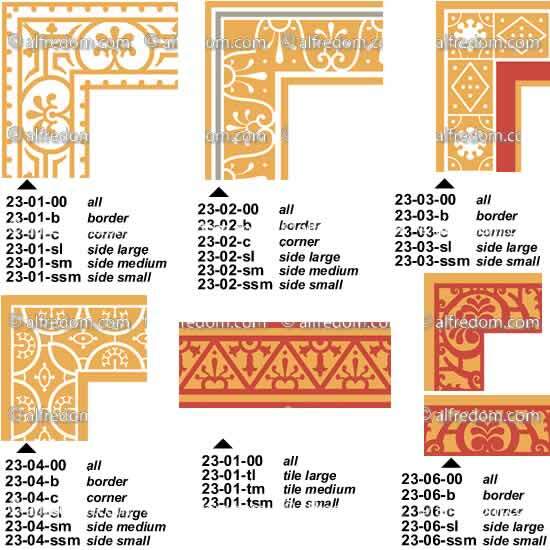 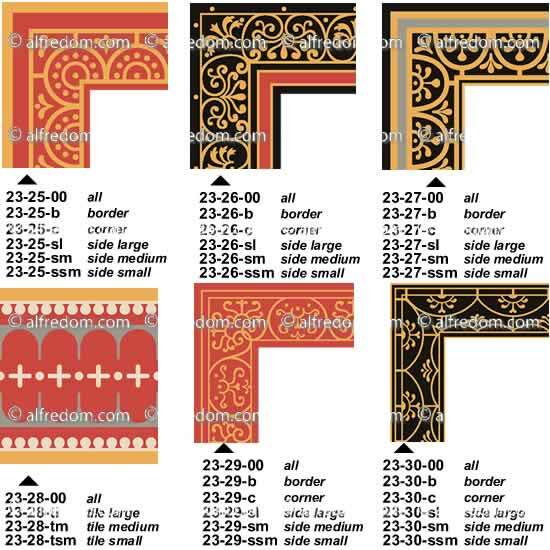 A large collection of classic borders and background tiles in vector format from the Roman civilization, while the graphics from the plates 23 and 24 are based on pictorial patterns, the borders from the plate 25 emulate typical mosaic floors. 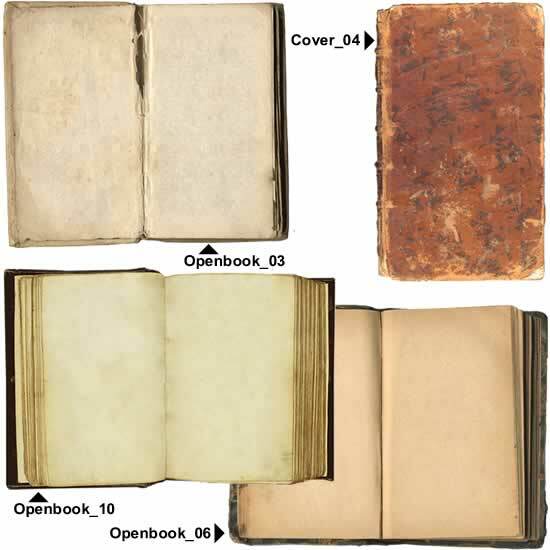 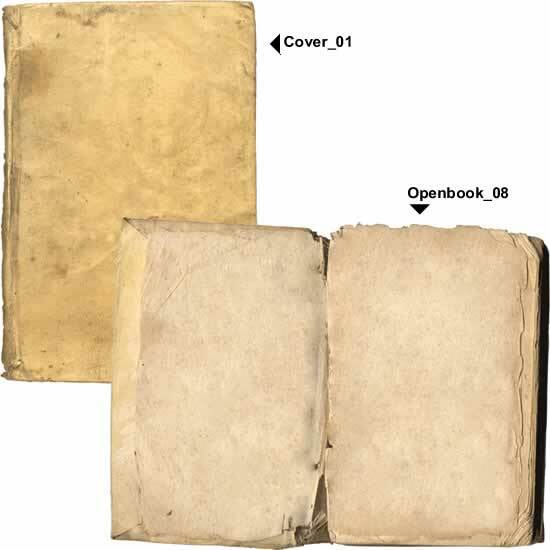 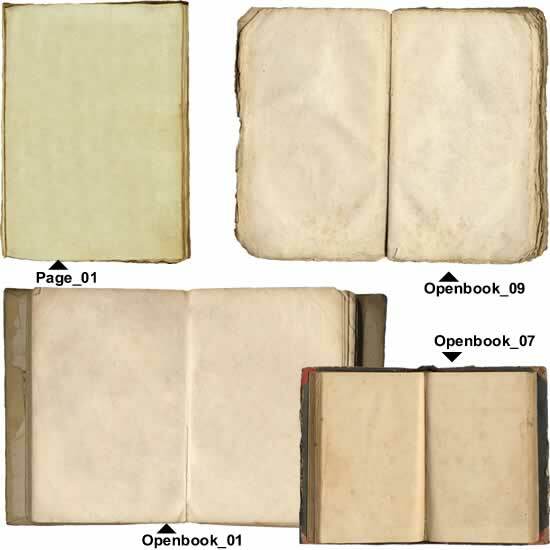 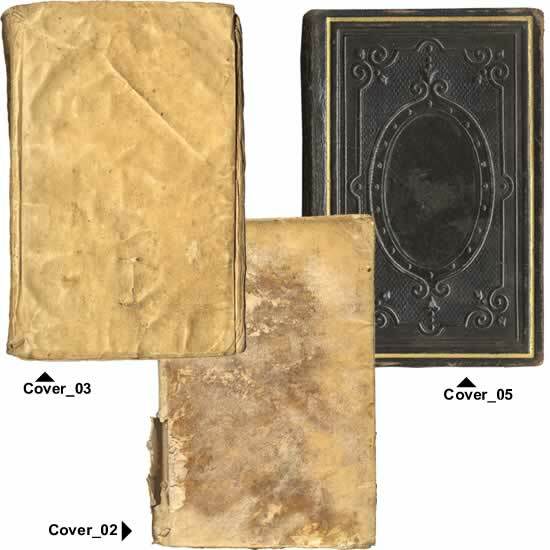 This specific Volume includes 447 graphic files in the EPS format.